An amazing screen and a limited edition red color for how much? 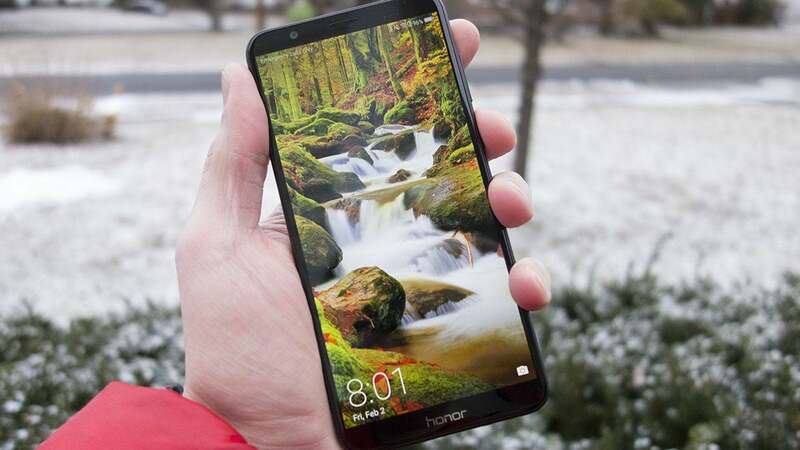 Should I buy an Honor 7X? In an age when smartphones are pushing the $1,000 barrier, the $200 Honor 7X is a standout. 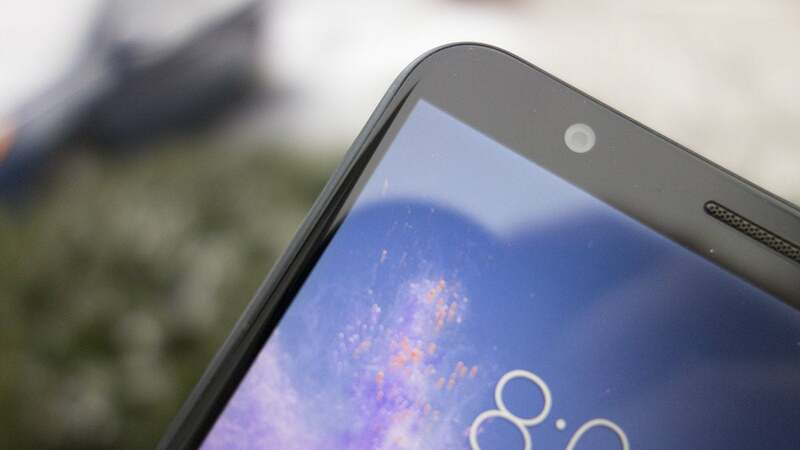 It ticks off almost all the boxes of a 2018 handset—18:9 Full HD screen, skinny bezels, a sleek, all-metal design, and a dual camera. The only thing it's missing? A USB-C port. That's right, the Honor 7X has the distinction of being one of the last phones to feature a micro USB port for charging instead of USB-C. Blame the price if you must, but even budget phones such as the Alcatel Idol 5s and the Moto X4 feature USB-C, a connection that's faster and much less fiddly (because there's no right-side-up) than micro USB. The lack of it on the Honor 7X is notable and unfortunate. Displays with a tall 18:9 ratio may be common among premium phones, but it's rare to see one in a mid-range handset, let alone a budget one. 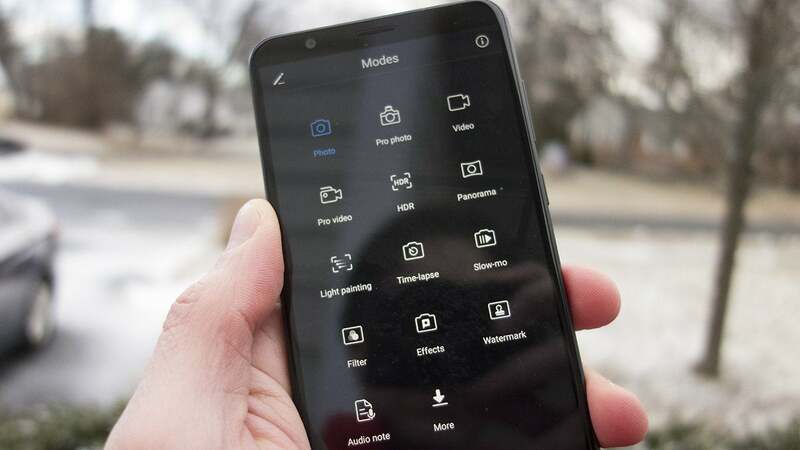 Cheap Android phones generally look several generations behind, with giant bezels, home buttons, and capacitive keys, but even without an OLED display, the 7X can stand tall alongside phones priced hundreds of dollars more. The bezels on the Honor 7X aren't Galaxy S8-level thin, but they've been dramatically reduced from what we saw on the 6X. It's not just the size, which takes up nearly the whole front of the device and will fit well in all but the smallest of hands. The screen itself is bright and crisp, and feels as immersive as the Infinity Display on the Galaxy S8. It's surrounded by super-slim bezels all around, with the only distinctive marking coming in the form of an Honor logo along the bottom edge. 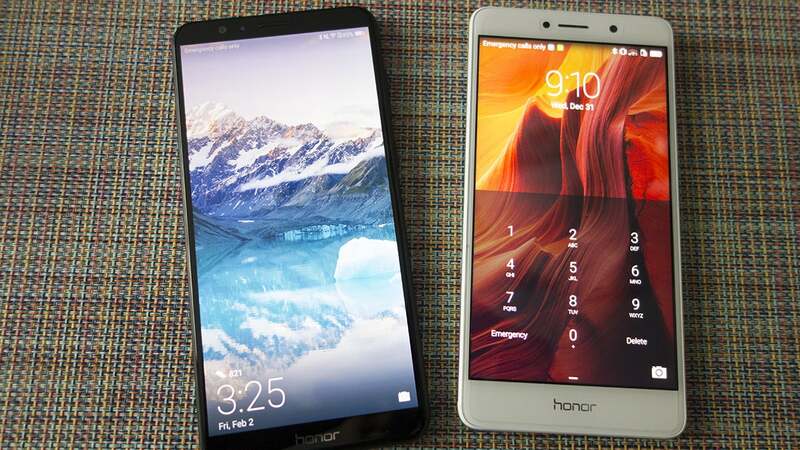 The Honor 6X, right, looks downright ancient compared to the Honor 7X at left. Around the back it looks something like the OnePlus 5T. The clean aluminum aesthetic is adorned with a fingerprint sensor and thin antenna lines that cut through the slightly bumpy dual-camera. Visually, it's a big improvement over the Honor 6X's vertically stacked camera and plastic antenna strips. Put it all together, the Honor 7X is a great-looking, solidly built phone that should stand up to abuse even without a case. The Kirin 659 inside the Honor 7X isn't parent company's Huawei's fastest processor (that would be the Kirin 970 inside the upcoming View 10), but it doesn't feel like a budget chip either. In PC Mark tests, the 7X consistently scored around 4900, not too far off what we've seen from the Snapdragon 630 found in more expensive mid-range phones like the HTC U11 Life. That means you get smooth scrolling, snappy animations, and apps that launch and switch quickly. 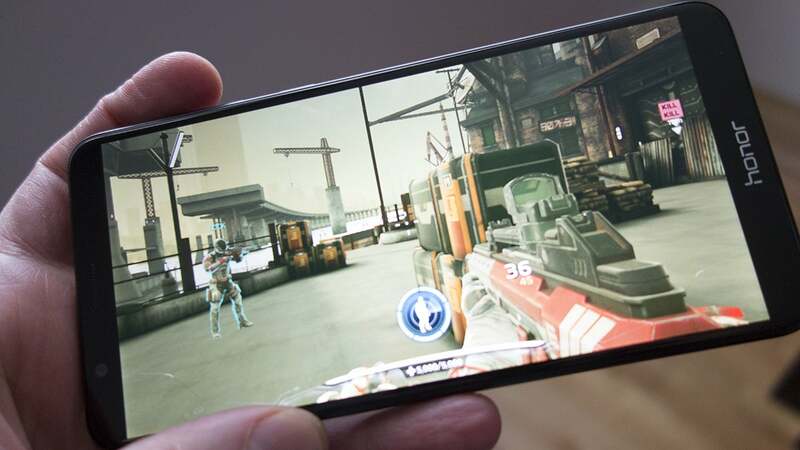 Graphics-intensive games such as Modern Combat Versus play surprisingly well on the 7X. Honor is touting the phone as "gaming-friendly" due to its screen and processor, and Honor has worked with Tencent and Gameloft to optimize titles for the 7X. True mobile gamers will still want a phone with much more juice, but for casual gamers on a budget, the 7X certainly performs better than its price would indicate. I tested Modern Combat Versus, and gameplay was surprisingly smooth even with a heavy load of graphics on the screen. I'm no gamer, but for a $200 phone, I was impressed. The 7X has the same 3,340mAh battery as its predecessor (and technically bigger than ones in the Galaxy S8 and the OnePlus 5T). However, what the 7X has that the 6X doesn't is a battery-guzzling larger screen. In benchmarks I got a respectable 6 hours and 26 minutes. In daily use, I was able to make it through the day, but I often found my phone in the red just before I was ready to put it down for the night. 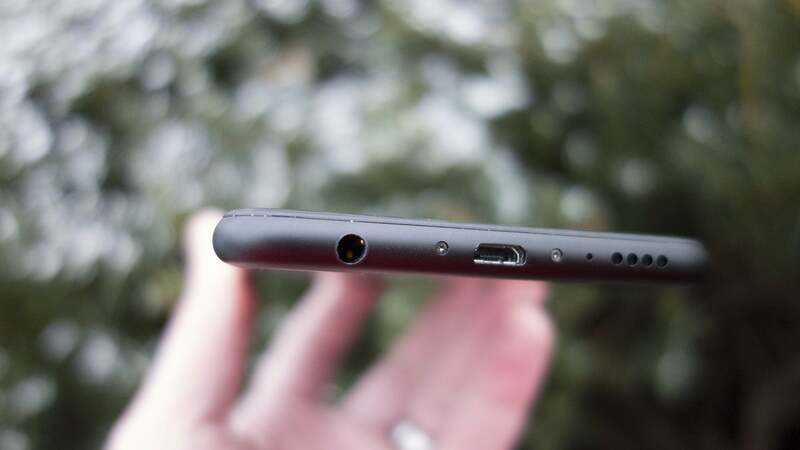 Yes, that's a microUSB port on the 7X. Yes, it's 2018. To its credit, the 7X has a great power-saving mode that will let you squeeze every last drop out of the battery. But if you're going to use it as a gaming device, you'll definitely want to carry a battery pack around—and a microUSB cable. The Honor 7X supports neither wireless charging nor fast charging, which is a real bummer for a 2018 phone, even one that costs so little. The 7X has a dual camera like the 6X, pairing a 16MP main shooter with a 2MP secondary one. That's a whole lot of megapixels for a $200 camera, but for the most part the 7X performs as you'd expect for a budget phone: good enough, but not great. 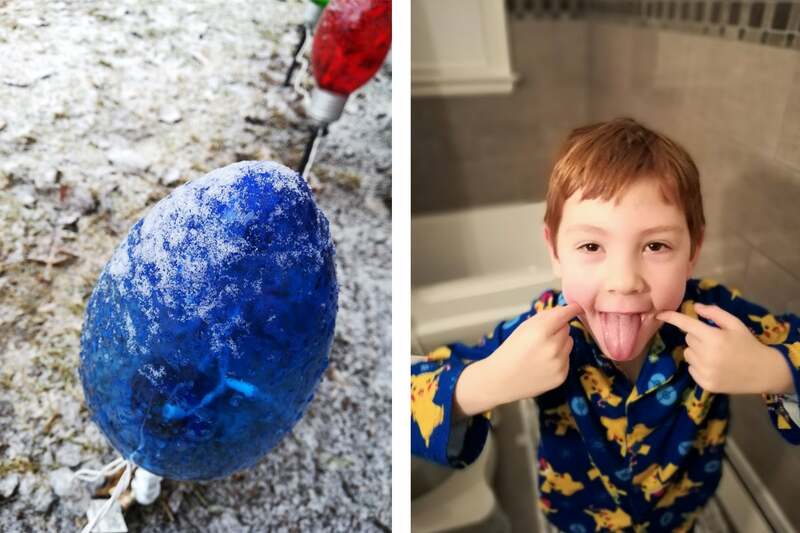 The camera app on the Honor 7X is loaded with fun features and shooting modes. But first let's talk about something that is great: the camera app. It's not quite as robust as the one on the Huawei Mate 10 Pro, but Honor has crammed the 7X's camera app full of cool features and controls to enhance the picture-taking experience. There are impressive manual controls, portrait mode, moving picture mode (like Apple's Live Photos), and light painting, which lets you use the flash to "draw" pictures in the dark.You can even take portraits with the front camera, as well adjust your look with some "beauty" sliders. Some of the features are gimmicky, but they're all fun, and it's great to see so much attention being paid to a budget phone's camera app. Despite its 16MP sensor, however, the Honor 7X's picture quality is just adequate, and it struggles with low lighting and motion. The shutter snapped quickly when my subject was still, but even then, focusing was hit-or-miss. The bokeh effect on portraits was mostly fine, but edges were soft and often required a bit of fine-tuning after the fact. But these are $750 phone quibbles, not $200 ones, and buyers on a budget will be more than happy with what Honor brings to the table. In decent lighting with no movement, the Honor 7X takes acceptable pics (left). Portraits, however, were hit-or-miss. The bokeh effect seen in the photo on the right is fine, but the edges are very soft. Honor hasn't yet updated the 7X to the latest version of its OS, EMUI 8, so that means it's stuck on Nougat for the time being. But while you're missing out on some Oreo features such as picture-in-picture and notification dots, the overall experience is still vastly superior to the Marshmallow iteration that shipped with the 6X. It also brings over the Mate 10 Pro's lock screen, which is the best I've ever seen, with a rotating library of gorgeous landscape photos that look magnificent on the big screen. The only thing I really miss from other phones is an always-on display. 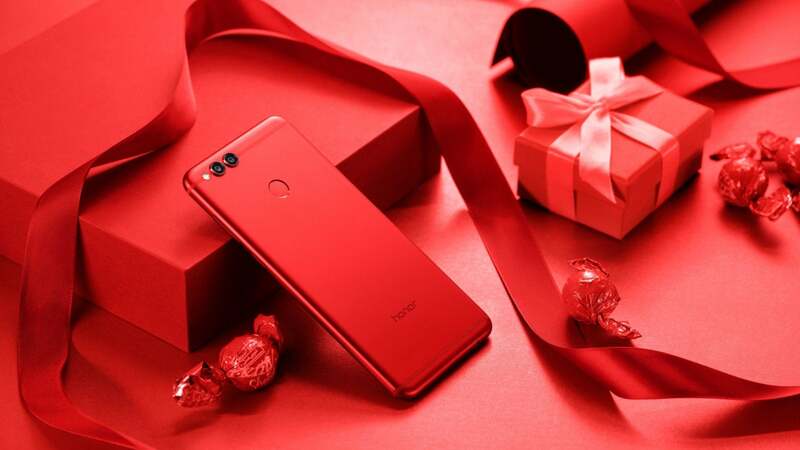 The Honor 7X is available in limited-edition red for Valentine's Day. The Honor 7X redefines the meaning of a budget phone with a gorgeous 6-inch 18:9 display and slim-bezel design. Brilliant 18:9 display rivals phones priced four times as much. Camera app is packed with features and options. Kirin processor keeps apps and games humming. MicroUSB port is a pain to use. Camera quality hasn't improved much over the 6X.